Great Northumberland is nearly here! 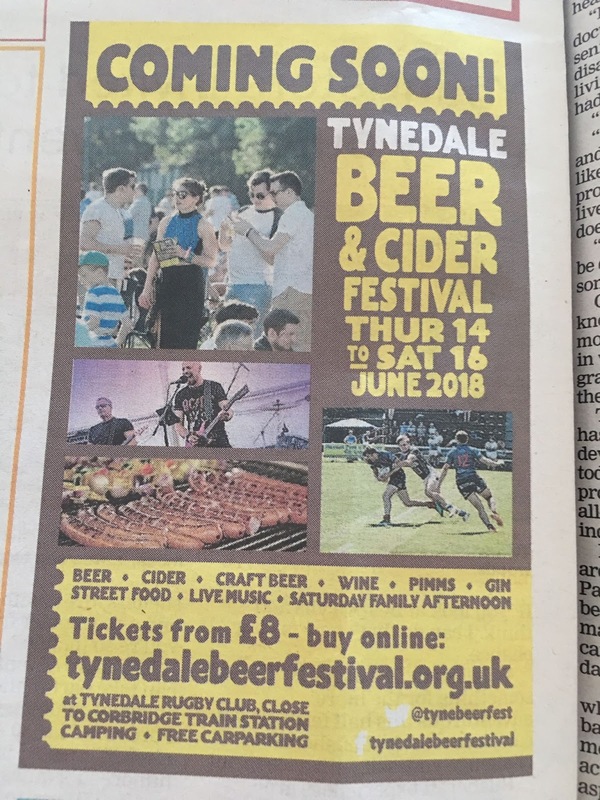 It’s going to be a busy summer for Northumberland. 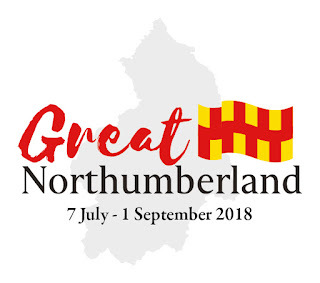 After the opening of the Great Exhibition of the North last week, next Saturday (7th July), it’s the turn of Great Northumberland, Northumberland County Council’s cultural programme of activities around the county. The programme has been set up to help increase visitor numbers to Northumberland over the summer and beyond, and between now and September there are so many exciting events planned, covering areas including history, theatre, poetry and music. Saturday’s opening event takes place from 1pm-5pm, with a day of performance and street theatre at The Sele and in Hexham Abbey Grounds. The event is free, so I would encourage you to go along and celebrate the start of this exciting few weeks for Northumberland. With the warm weather looking set to carry on into the weekend, now is the time to start making plans to make the most of the sun. Cheeseburn Sculpture is having its second Open Weekend of the year (Saturday 30thJune and Sunday 1stJuly, 11am-4pm). 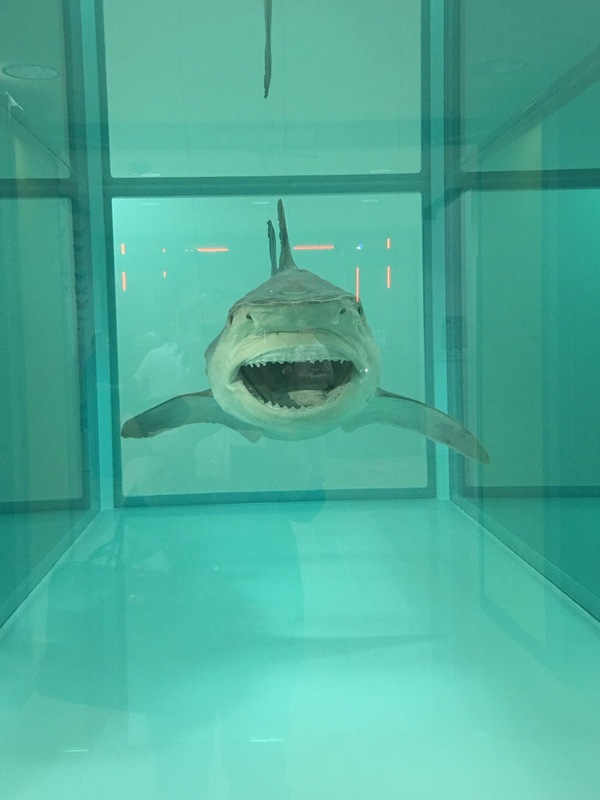 Both local and global artists will be showcasing their works, including Chinese artist Qi Yafeng, whose huge stainless steel sculptures will be displayed in a special exhibition. The sculptures are set in the stunning ten acre gardens at Cheeseburn Grange, making it an ideal place to spend a warm weekend. 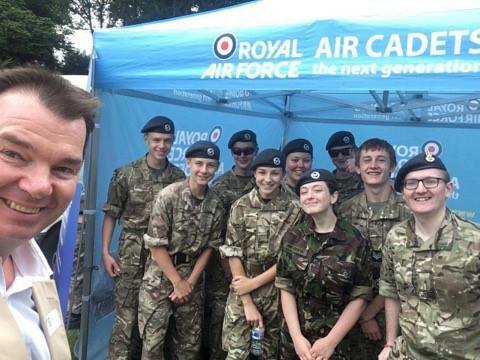 Every year Armed Forces Day gives us the chance to show our support for the men and women who make up the Armed Forces community- currently serving troops, their families, veterans and cadets. The Armed Forces are an important part of our local community, with Albermarle Barracks located within the constituency for example. This year’s Armed Forces Day takes place on Saturday, and there are events planned around the Hexham constituency to support our Armed Forces. Hexham is getting involved on Saturday with an Armed Forces Day Celebration from 10am-4pm on Beaumont Street. There will be a display of military vehicles and equipment with personnel from the 3rd Royal Horse Artillery, a climbing wall, stalls, classic cars, entertainment and a service of thanksgiving in Hexham Abbey. On Saturday afternoon, St Andrew’s Primary School in Heddon will also be having a family fun day from 2pm-4pm. Army families from Albermarle Barracks and non-Army families are invited. There is lots planned, with a barbeque, refreshments, an ice cream van, fun fair stalls run by each class, an assault course run by members of the barracks, Armed Forces vehicles, and the local Military Wives Choir will sing to open the event. Armed Forces Day is a wonderful opportunity to show the Armed Forces that we appreciate and recognise their dedication. If you can, go along to an event this weekend and show your support. 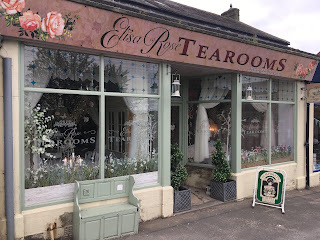 I recently popped in to the newly refurbished Elisa Rose tearooms in Mickley. 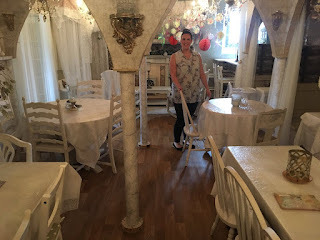 It’s worth a visit for the beautiful interior alone, but it is also a really fantastic place to stop for a cup of tea and cake. It was great to chat to Wendy, Philippa and Leanne- everyone is so friendly and welcoming. 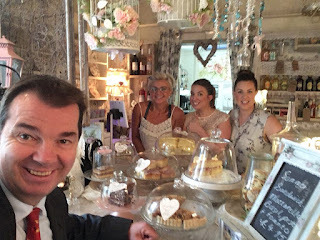 A great local business that is clearly thriving- I highly recommend a visit. As a keen cyclist myself, I always admire people who use their passion for cycling to do something good. At the recent Haydon 100 race, I met Bob and was really interested to hear about an upcoming ride he and friends are doing in aid of Tynedale Hospice at Home. The group will cycle from Matfen to Bamburgh and back, taking in some of Northumberland’s most beautiful scenery on a two-day route of around 130 miles. 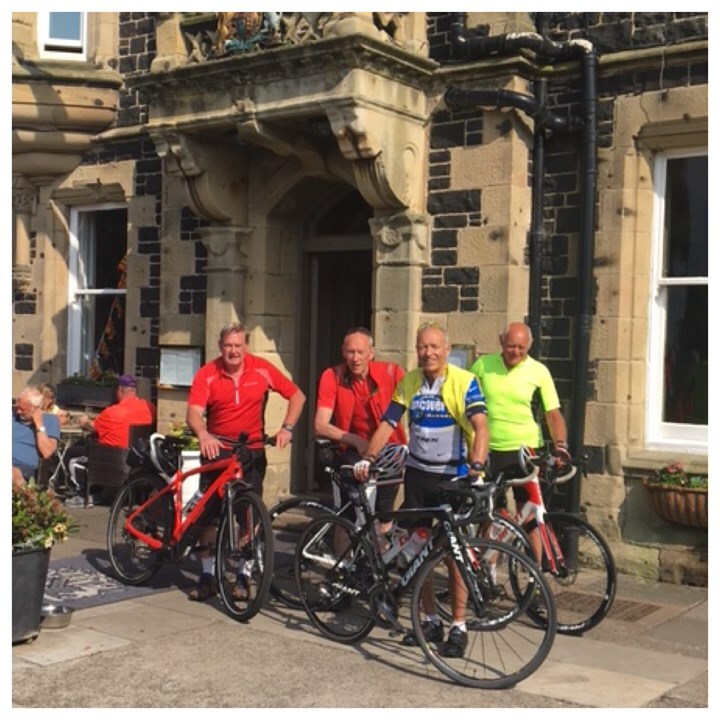 The cyclists are hoping to raise £2000 for Tynedale Hospice at Home, a charity very close to my heart, which delivers essential help to families in their own homes, with nursing care, transport and bereavement support offered to those in need. The link to donate is below- if you can, please do support them. I wish everyone the best of luck with the ride and I congratulate them on such a remarkable effort. 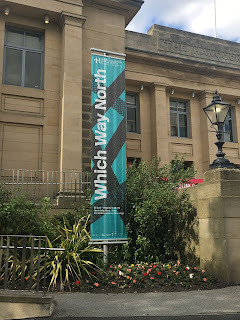 Yesterday was the first day of the much-anticipated Great Exhibition of the North, an eighty day celebration of exhibits, live performances, displays of innovation and artwork in the North East. Earlier this week I was lucky enough to be invited to a preview of the exhibition in Newcastle and was so impressed by the exhibits of music, art, science and fashion, from Stubbs to the Beatles and Vivienne Westwood. So much is going to be happening over the next eighty days, to both celebrate the history and industrial heritage of the North and showcase the future of the region. I am particularly looking forward to the return of Robert Stephenson’s iconic locomotive Rocket, on loan to the Discovery Museum from the Science Museum Group. 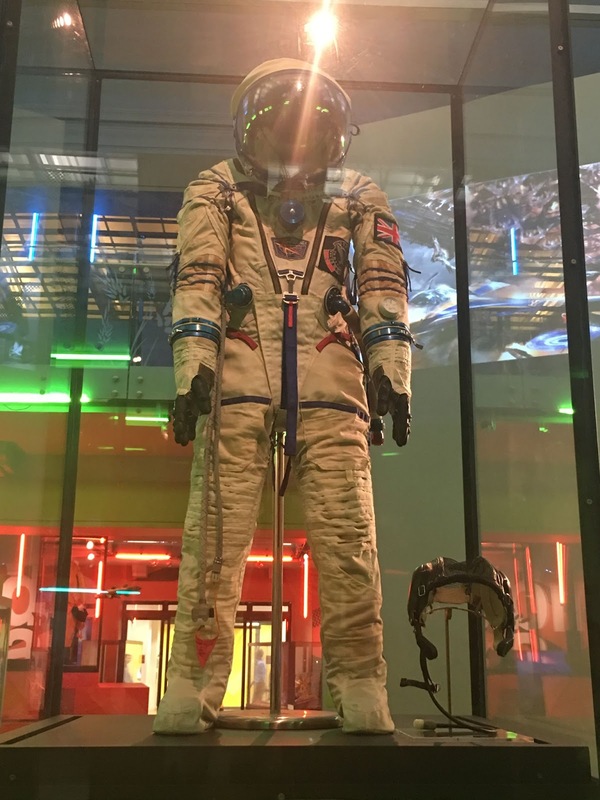 The Exhibition has been a long time in the planning, and it is great to see the hard work of organisers paying off as the Exhibition finally arrives. This is an incredible opportunity for the North to show the rest of the world that when it comes to history and upcoming talent, there really is nowhere better. I would encourage you to have a look at what is planned over the coming months- I guarantee there is something for you! 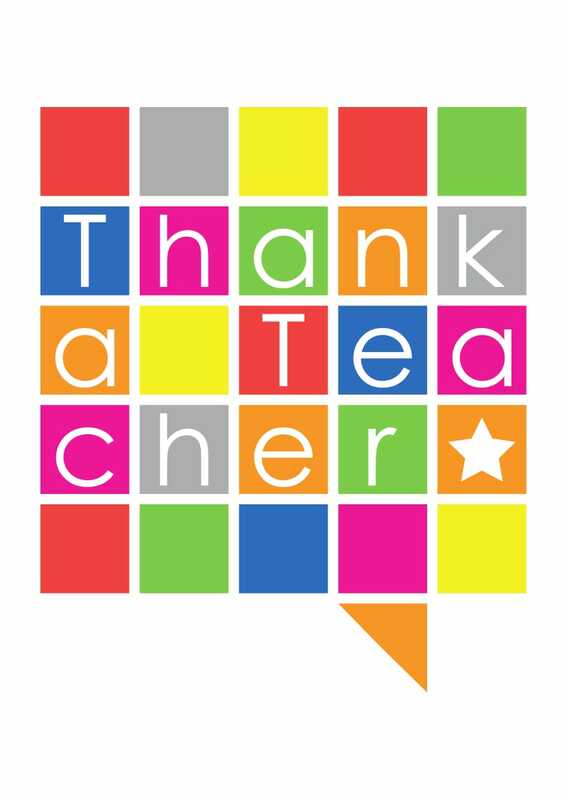 Today is Thank a Teacher Day, and I would like to take this opportunity to celebrate all of the teachers at our local schools, working hard to make sure that more children are gaining the skills and knowledge they need to get on in life. The day is an annual event to celebrate the huge difference teachers make to their students’ lives. A good education is fundamental to improving children’s life chances, and it is the inspirational teacher at the front of the class that makes a child’s education. There can be great schools without great teachers and I am consistently struck by the passion and dedication of teachers working in schools across the Hexham constituency, ensuring that all children can fulfil their potential. So today, make sure to thank a teacher that changed your life. 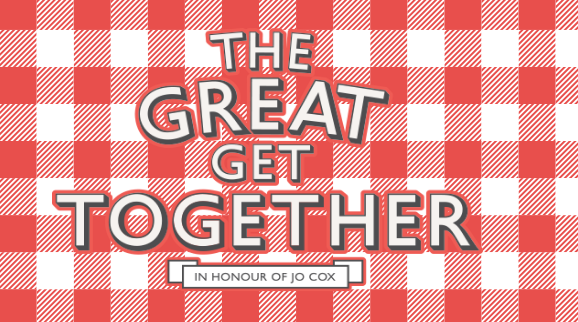 Last year thousands of people came together for The Great Get Together, inspired by Jo Cox’s belief that we have more in common. This weekend, to mark what would have been Jo’s 44thbirthday, events are taking place all over the country to encourage communities to get together and get to know each other. Prudhoe’s St Mary Magdalene Church Hall is holding its own event on Saturday 23rdJune from 10am-3pm- anyone is welcome to attend. 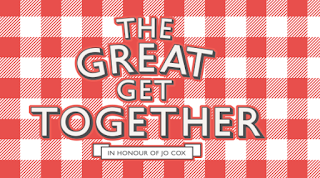 The Great Get Together is such a fantastic initiative, combatting loneliness and helping to bring people together. After last year’s events, 59% of people said that until that weekend they didn’t know their neighbours, and 83% of people who took part said that they met someone new. 78% of people said they felt more hopeful about Britain after the weekend. Loneliness affects a surprising number of us, and so I welcome the news that the Prime Minister has announced a £20 million ‘Building Connections Fund’ to tackle loneliness and help more people establish and maintain connections. Close and connected communities are so important, so even if you can’t get along to Prudhoe this weekend, why not have a get together of your own with the people around you. 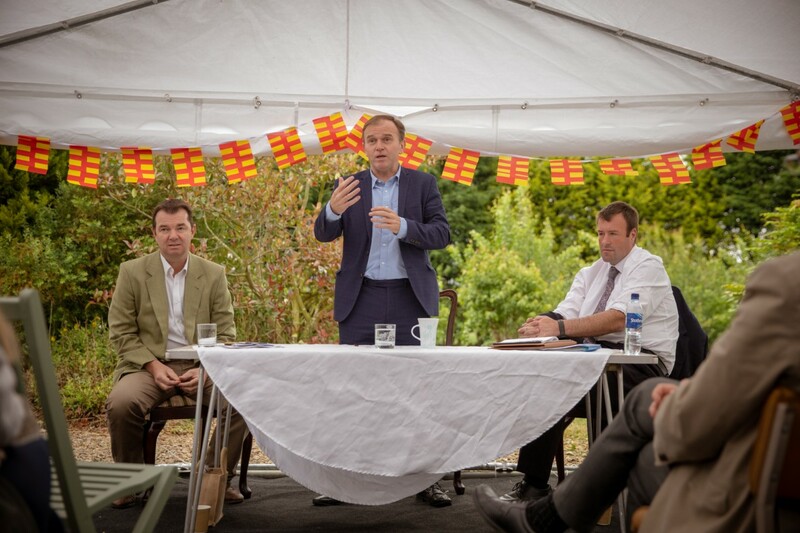 As one of the most rural constituencies in the UK, farming is an incredibly important part of life in Tynedale and Ponteland. I was therefore really pleased to be able to welcome the Minister for Agriculture, Fisheries and Farming, George Eustice MP, to the Hexham constituency last week to attend a round-table event, discussing a wide range of issues relating to farming and the rural economy. It was a really fascinating discussion and a great opportunity to ask the Minister about issues that are important to local farmers. The summit was also attended by representatives from Natural England, the Environment Agency, Northumberland County Council, Northumberland Federation of Young Farmers, Newcastle University and farmers and agricultural business leaders from across Northumberland. As part of his visit, the Minister also spent time at a local working farm. It is impossible to overstate how important farming and rural business is to our community. I will continue to do everything I can to champion the cause of farmers, food producers and rural businesses in the constituency. Small Businesses- an opportunity not to be missed! Small businesses are the heart of our local communities, and each year Small Business Saturday celebrates small businesses and encourages consumers to shop local. 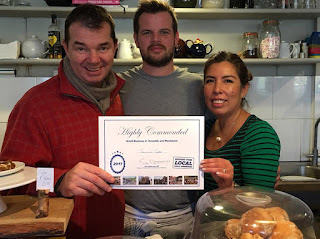 Last year I got involved with the event by starting my ‘Small Business Awards’, inviting constituents to nominate their favourite small businesses, and I spent a fantastic few days travelling around the constituency and presenting some of our best local businesses with their awards. This year’s Small Business Saturday is not until December, but plans are already underway to make the day a great success once again. Applications are now open for Small Biz 100, a scheme to highlight 100 small businesses- one a day for the 100 days leading up to this year’s Small Business Saturday. The 100 businesses will receive exposure on social media and in the local and national press, and will join the Small Business Saturday team at receptions in both Downing Street and The Treasury Drum with the Chancellor of the Exchequer. It is a brilliant opportunity and it would be great to see some local businesses as part of the Small Biz 100. 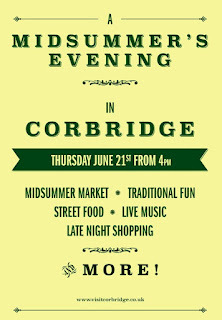 Corbridge’s Midsummer’s Evening is back! 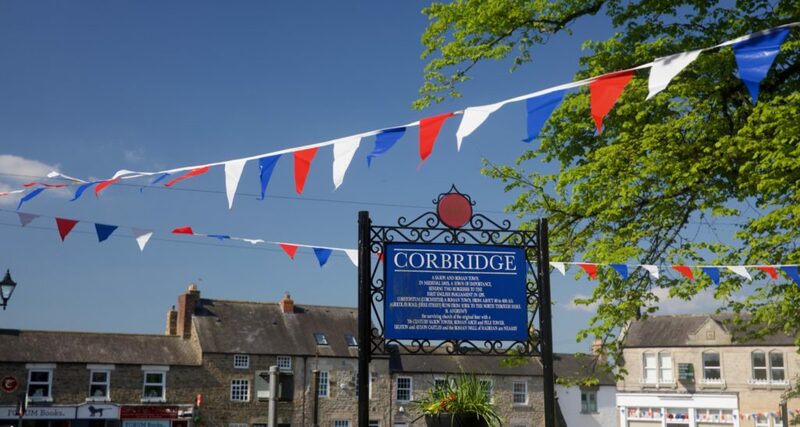 One of the highlights of the year in Corbridge, the town will be open for late night shopping on Thursday 21st June, 4pm-9pm. There will be stalls, activities and entertainments all over the village and Market Place, with food and drink, live music, Morris Dancers, children’s activities and a mini boating lake in the grounds of St Andrew’s Church. Shops, pubs and restaurants will also be open and taking part in what promises to be a very special event. 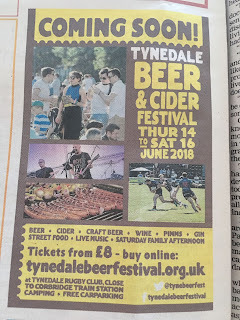 There is a free park and ride service from Tynedale Park/Rugby Club to the Market Place. 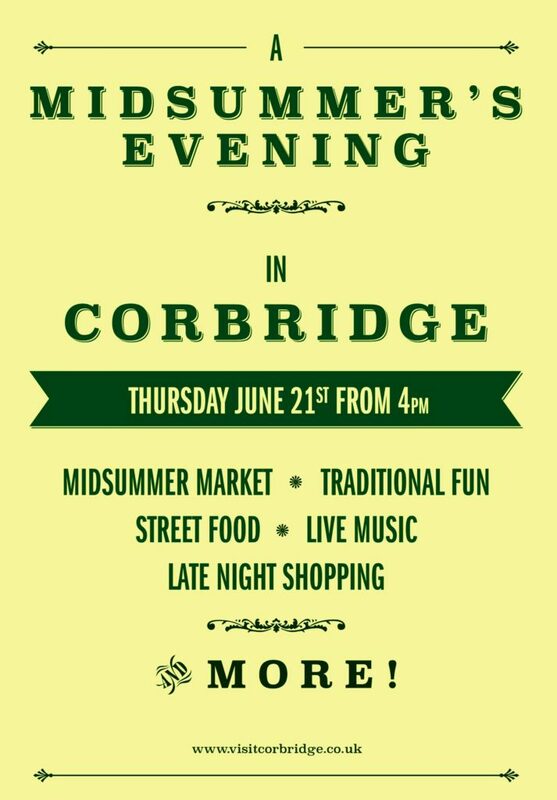 A Midsummer’s Evening is always a great event, so I certainly recommend you go along and celebrate with Corbridge on Thursday. Get involved with our great local organisations! There were so many different groups and organisations in attendance at last week’s Ponteland Party in the Park, and I used the opportunity to meet as many of them as I could. 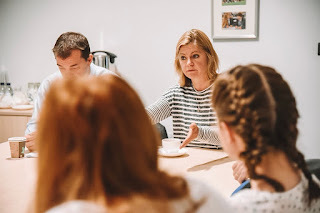 I recently had the pleasure of welcoming the former Education Secretary Justine Greening to the Hexham constituency as part of her work founding the Social Mobility Pledge. Ms Greening spoke with students at Prudhoe Community High School about her own background growing up in Rotherham and the opportunities and chances that are available to them. We also visited local business Thompsons of Prudhoe, who recently became the first Social Mobility Pledge accredited employer in the Hexham constituency. 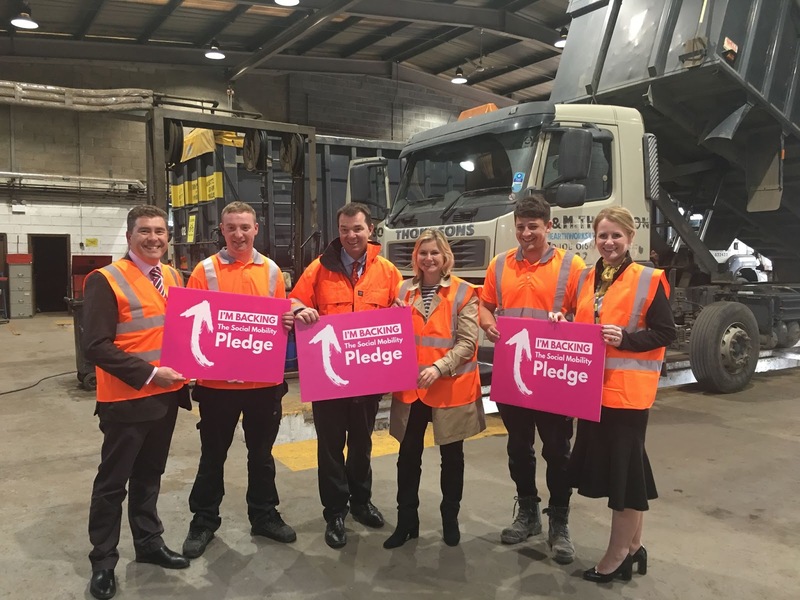 By signing the pledge, businesses like Thompsons commit to work towards improving social mobility by accessing and progressing talent from all backgrounds. 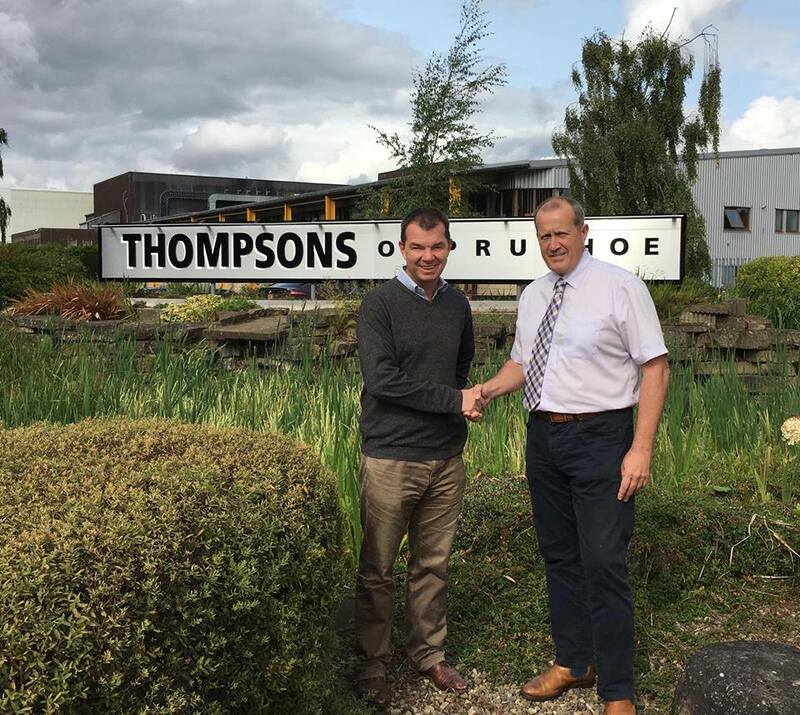 Businesses like Thompsons are key to tackling social mobility in our area and helping to connect young people with the opportunities already on their doorstep. I was delighted to welcome Justine to our constituency, and I hope that her visit will encourage other local businesses to join Thompsons and sign up to the Social Mobility Pledge. Tyne Green flood defences- work underway! I can remember all too clearly the devastation caused by the floods in December 2015, which affected so many people in the Hexham area. 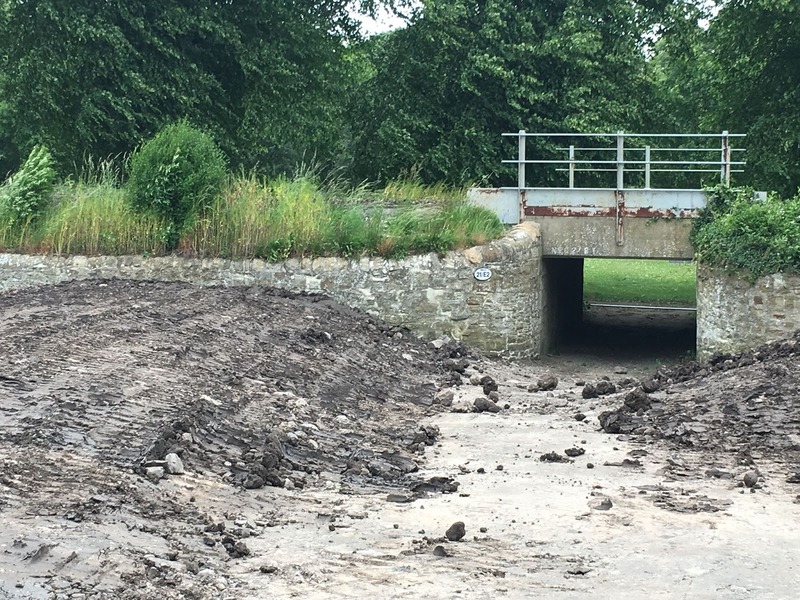 Now, two and a half years on, work has begun on a flood defence scheme at Tyne Green to protect local homes from future flooding. The project is being funded by residents who have pooled the individual grants they received following the 2015 floods. 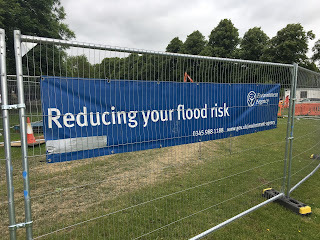 In the last two years I have spoken to many people whose lives and homes were devastated by the flooding, and so I am pleased to see our long campaign for flood prevention on Tyne Green come to fruition. 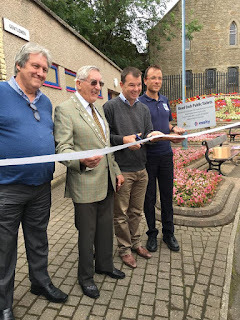 I would like to thank the Environment Agency, as well as Northumberland County Council, Northumbrian Water and Network Rail, who have all helped to make this happen. I hope that the new flood defences, which should be completed in the next few weeks, will be hugely reassuring to residents, ensuring that the next time we are faced with floods, Tyne Green is prepared. 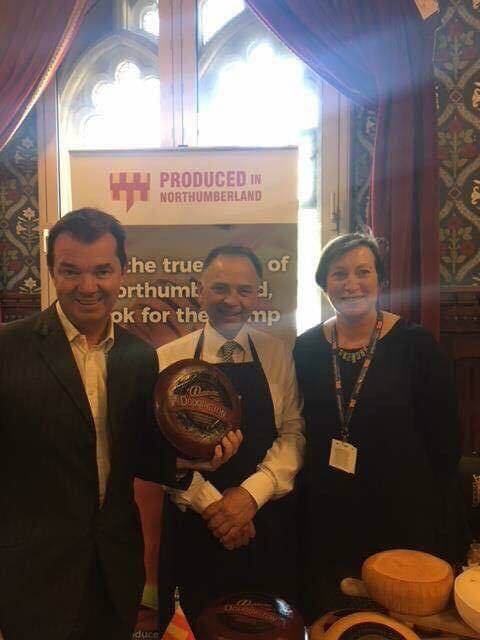 The Houses of Parliament were treated to a taste of Northumberland earlier today, as I welcomed Northumberland County Council’s ‘Produced in Northumberland’ team as part of an event to showcase and promote the county’s food and drink sector. 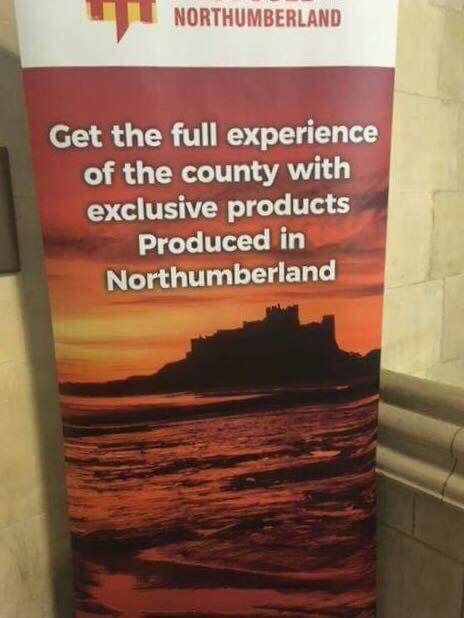 ‘Produced in Northumberland’ is a scheme which verifies that food and drink is produced in Northumberland, with audits carried out by Trading Standards and Environmental Health staff, and there are now around eighty businesses signed up with another forty interested or awaiting verification. Businesses already signed up include Brocksbushes Farm Shop, the Northumberland Spirit Company, the Artisan Bread Company and Kielder Organic Meats. The food and drink sector is an incredibly important part of Northumberland’s economic growth, and ‘Produced in Northumberland’ aims to raise the profile of the food and drink industry in the county. It was a pleasure to welcome people and businesses involved in the scheme to Parliament, and I am delighted that so many in Westminster were able to find out for themselves about the extremely high quality of food and drink we produce in Northumberland. 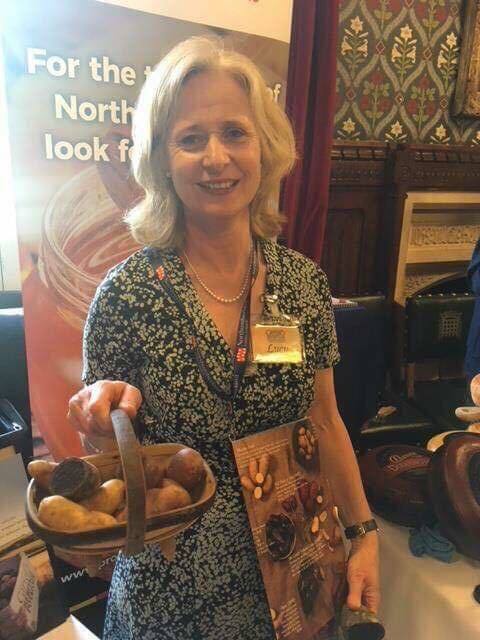 Well done to everyone involved in organising the event- I can’t think of a better advert for Northumberland food and drink. We all know somebody who has been affected by cancer, and this Saturday the Northumberland Cancer Support Group are holding a coffee morning in aid of all those affected, including friends and family. The event will be held at Trinity Methodist Church Hall, Beaumont Street, Hexham, on Saturday 16th June from 10.30am-1pm. The Northumberland Cancer Support Group has been a registered charity since 1986 and provides a wonderful support network for people affected by cancer. Go along on Saturday and show them your support! 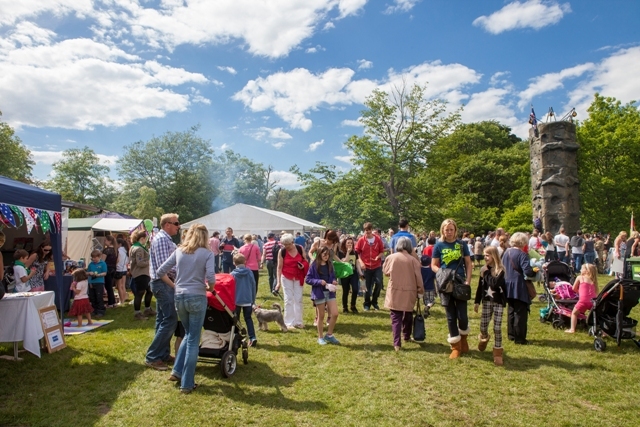 There was only one place to be on Sunday- at the Ponteland Party in the Park. It was an honour to be asked to open the event- it was clear that so much hard work had gone into organising the day. 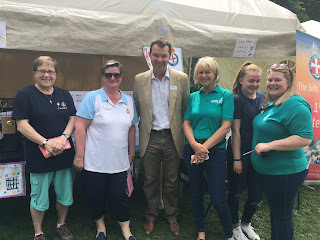 There was plenty to see and do, and a particular highlight for me was being able to meet some of the people behind many of our local organisations. Add in the wonderful community band who kept us all entertained, and it really was a great day. Well done to everyone involved. 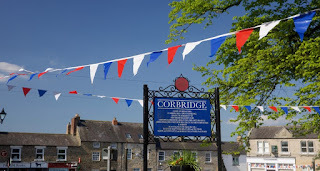 The Hexham constituency is home to some brilliant independent bookshops, and this week (16th-23rd June) is dedicated to celebrating bookshops around the country. Independent Bookshop Week is a part of the Books Are My Bag campaign, and to mark the week there will be celebrations and events including storytelling, reading groups and face painting at many local bookshops. 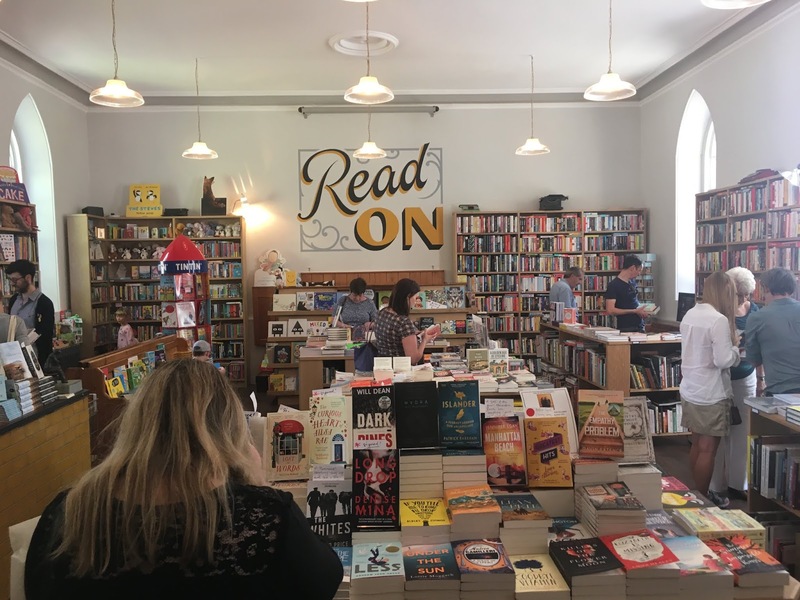 We are incredibly lucky in Northumberland to have shops like Cogito Books in Hexham and Corbridge’s Forum Books, now in their fantastic new premises, which are not only shops but also communities, allowing us to share our favourite books and discover new ones. It is so important that we support our independent bookshops, so why not go along to your local shop and celebrate with them? Earlier this week we marked World Oceans Day, and I am delighted that the government is leading the way on protecting our sea life and marine habitats. On Friday the Environment Secretary Michael Gove announced plans to create more than forty new Marine Conservation Zones across the UK, safeguarding almost 12.000 square kilometres of marine habitats and marking the most significant expansion of the UK’s ‘Blue Belt’ of protected areas to date. The new sites will reach right across England’s coastline, from the South West to Berwick, as well as two sites in Northern Irish offshore waters. No new activities deemed damaging- such as dredging or significant coastal or offshore development- will be allowed to take place in these areas. This is such an encouraging announcement, which will protect rare and threatened marine habitats and species- yet another example of the government’s commitment to protecting our planet. I am so pleased to have been able to choose Essity Prudhoe Mill as my Hexham Constituency Responsible Business Champion 2018. This is as part of the All-Party Parliamentary Corporate Responsibility Group’s Responsible Business Champion Awards scheme, with a national winner announced at a reception in Westminster next month. 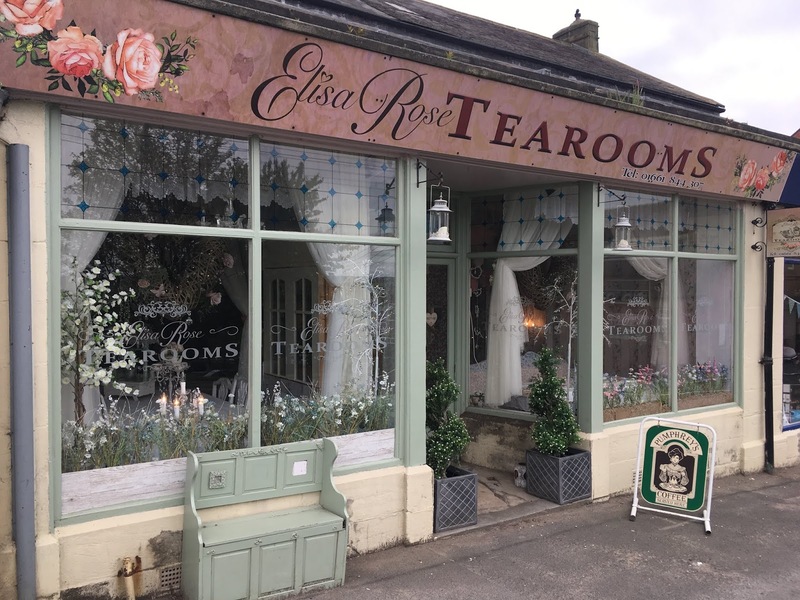 The scheme was set up to celebrate the achievements of businesses like Essity Prudhoe that play an important role in their communities. The Essity paper mill is Prudhoe’s largest employer and the second biggest manufacturing business in Northumberland. The Prudhoe site has a award-winning apprenticeship scheme, supports dozen of local charities, schools and donations, and is a great supporter of local grassroots sports. Essity Prudhoe Mill has also been the main sponsor of the annual Prudhoe Miners’ Race since 2012 and in the last year saved the public toilets in Prudhoe town centre from closure with an incredibly generous donation for refurbishment work, as well of providing free toilet rolls on an ongoing basis. Essity Prudhoe Mill makes an outstanding contribution to the local community, and I am delighted to have been able to highlight the brilliant work they do on a daily basis. 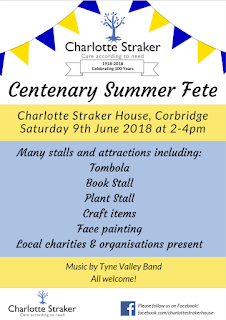 The Charlotte Straker Trust does incredible work improving the lives of older people, and on Saturday Charlotte Straker House in Corbridge is celebrating 100 years as a vital part of the Corbridge community with its Centenary Summer Fete. 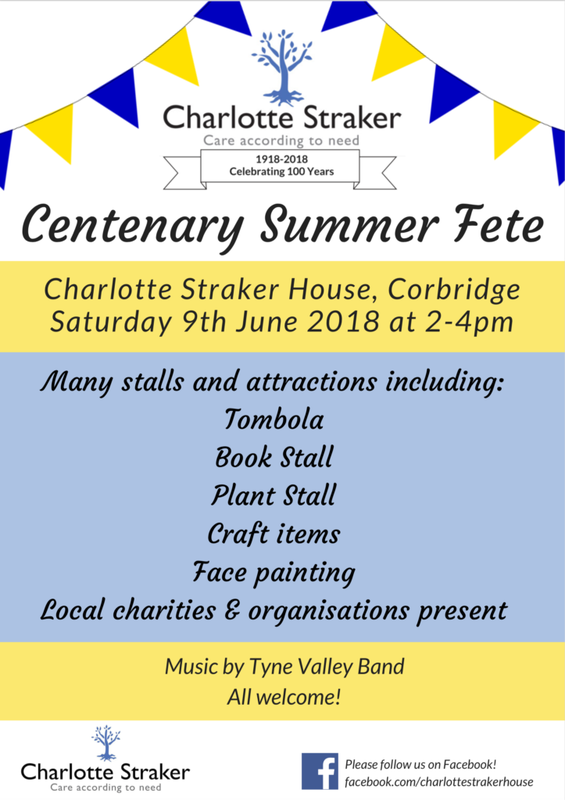 From 2pm on Saturday 9thJune there will be stalls, face painting, tea and cakes, music by the Tyne Valley Band and more. 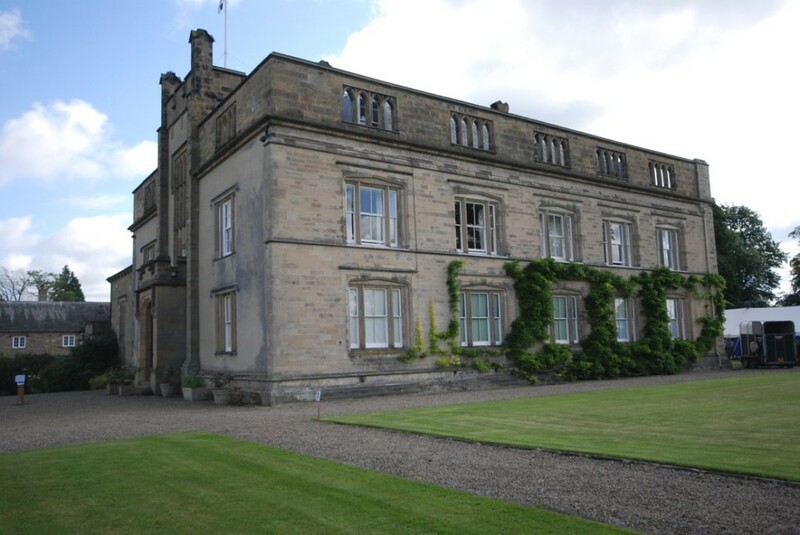 Charlotte Straker House was originally run as a cottage hospital in memory of Charlotte Straker in 1918, and now provides a home for elderly people in Tynedale and West Northumberland. It is a wonderful place and it would be great if you could go along on Saturday and celebrate their centenary! This weekend I will be in Ponteland to open this year’s Party in the Park. Organised by Ponteland Churches Together, the event will be held on Sunday 10th June from 1.30pm- admission is £1 and free for children under five. And if the list of attractions is anything to go by, we should be in for a brilliant day. 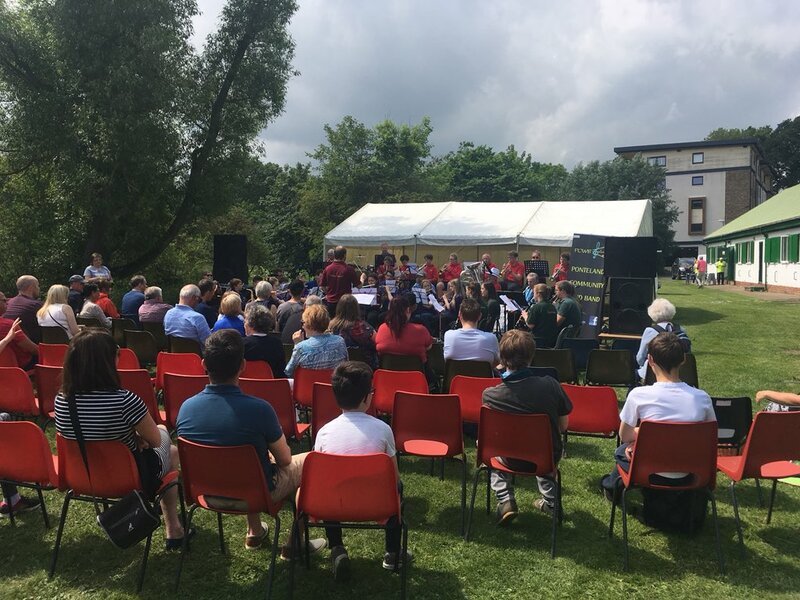 A fun fair, pony rides, a climbing wall, Punch and Judy, a bouncy castle and food and refreshments, as well as performances from the Ponteland Community Band, the Richard Coates Middle School Orchestra and Choir and more, are just some of the exciting attractions you can expect to see. 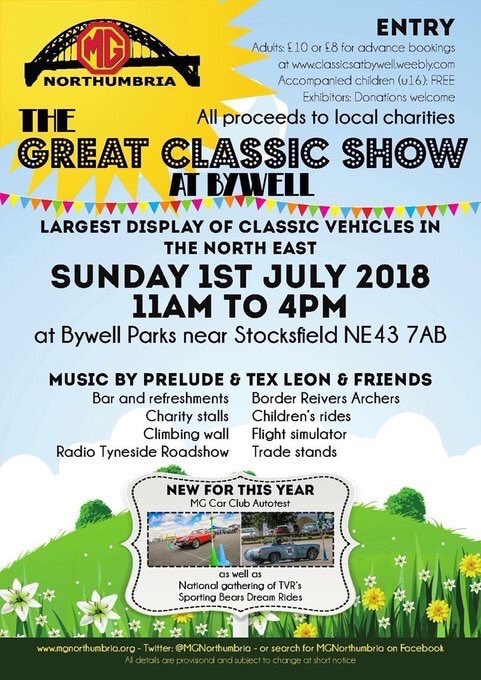 I’m really looking forward to opening the event and getting the party started in Ponteland- let’s hope for some good weather and a great day! Back in April I spent a very enjoyable afternoon at Walwick Hall, celebrating some of the winners of my Hexham Constituency Community Champion Awards. 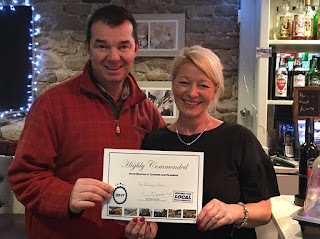 I started the awards last year to celebrate the achievements of people in the Hexham constituency that make a difference to our local communities, and with the sponsorship of Gareth Jones at Red Hot Property, so far the awards have been a real success. It is inspiring to meet people who have done such incredible things and to be able to thank them for their hard work. One of the winners who attended the event at Walwick Hall is Kate Stanforth. 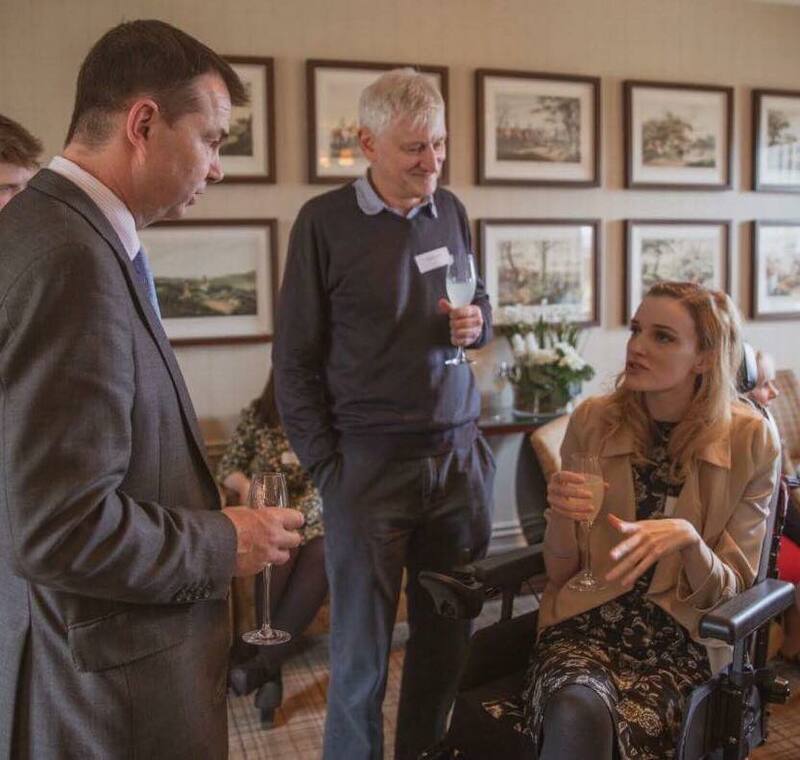 Kate was put forward for an award because of her work to make Prudhoe more accessible for wheelchair users and the elderly. Kate also started Project Parent, delivering gift packs of essentials to parents and families of children in hospitals around the country. And just in case all this isn’t impressive enough, Kate does all of this whilst dealing with a chronic illness. 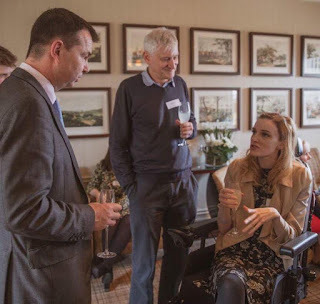 Kate truly is inspirational and it was a pleasure to celebrate her achievements. If you know someone you think deserves a Community Champion Award, please do get in touch and let me know. 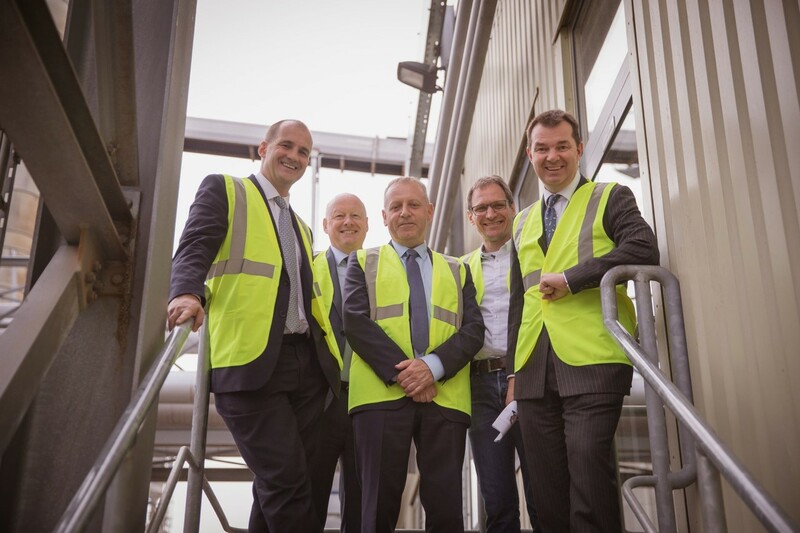 I was delighted to welcome the Minister for the Northern Powerhouse and Local Growth, Jake Berry MP, to the Hexham factory of EGGER UK, which is Northumberland’s largest private sector employer. The Minister toured the factory, which employs more than 700 people and is one of Europe’s most advanced wood-based panel production facilities, as part of his visit to the county to discuss the Borderlands Growth Deal. The Borderlands Growth Deal brings together the five cross-border local authorities, including Northumberland County Council, to promote the economic growth and competitiveness of the area around the Scottish-English border. EGGER is a very significant business for the Tyne Valley economy, and so I am very pleased that the Minister was able to see the factory and to see how forestry and wood processing can play a major part in the Borderlands Deal. Swim with the Tide - sign your company up to The Social Mobility Pledge! I am passionate about making sure that everyone has great opportunities, regardless of their background. That is why I am so proud to have been appointed a Social Mobility Champion after local business Thompsons of Prudhoe signed up as the Hexham's constituency's very first Social Mobility Pledge accredited employer. The Social Mobility Pledge is a commitment from local businesses to help improve social mobility by giving more opportunities to young people from disadvantaged backgrounds. Businesses commit to work with local schools to help young people know about the careers they can have, and to give young people work experience or apprenticeships. It also means committing to having open recruitment approaches, which help open to more disadvantaged young people. Businesses like Thompsons of Prudhoe are key to tackling social mobility in our area and helping to connect young people with the opportunities already on their doorstep. 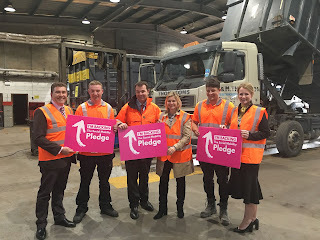 I am very proud to be involved with the Social Mobility Pledge and I hope that more local businesses will join Thompsons of Prudhoe in signing up. 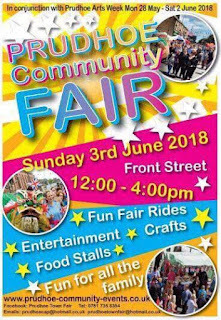 All the fun of the Fair- Prudhoe's the place to be! Another month, another fun-filled event in Prudhoe! This weekend the Prudhoe Community Fair will bring Prudhoe Arts Week to a triumphant close with an assortment of activities that will keep the whole family entertained. With fair rides and games for the children, as well as stalls and hot and cold food, Prudhoe is definitely the place to be this weekend. It’s all happening on Sunday 3rdJune from 12pm-4pm on Front Street- why not go along and join in the fun?